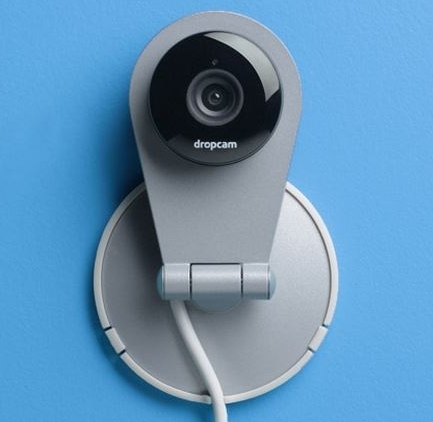 BizSugar Blog » Win a Dropcam in BizSugar’s Sweetest Member Contest! Win a free Dropcam, a $149 value, in the BizSugar Sweetest Member Contest beginning today July 22, 2013. The BizSugar Sweetest Member will be the most active member on the BizSugar community this week. Dropcam is a high definition WiFi video camera with remote viewing and two way sound for installation in your business or home. You can see how Dropcam is used in a business environment at San Francisco’s Brainwash Cafe and many other locations. Join: Register with BizSugar for a free account. It’s easy and takes only a few minutes! Vote: Vote for all your favorite small business posts on BizSugar, the ones you most like to read. Comment: Make lots of thoughtful, interesting comments. Submit Content: Post small business content from your own blog or from other great sites. Check out the guidelines to make sure your submissions fit. The most active member with the highest combo of quality comments, submissions and votes wins. It’s that simple! Oh, and don’t worry if you don’t win this week. We’ll be running this contest over the next couple of weeks with prizes and surprises from BizSugar and sponsor Dropcam. Just keep the quality of your participation up. There is no limit to the number of weeks you can win. Congratulations to BizSugar member Ivan Widjaya, our Sweetest Member winner of last week’s $25 Amazon gift card! When: Monday July 22 through Friday July 26 at 11:59 Pacific Standard Time. How: Quality participation in the BizSugar community gives you the opportunity to win. This means the most quality comments and submissions for the week and voting on the best contributions from other members. (Activity by members using the anonymous sugar cube avatar will not be considered, so please be sure to have an avatar image in your profile). Prize: Once again, win a free Dropcam, a $149 value. Winner will be announced the following Monday, July 29, 2013. ← Win $25 Gift Card in BizSugar’s Sweetest Member Contest!